When I was 18 years old, the guy I dated drove a white Honda Prelude which, like he, was fragranced with Calvin Klein Eternity. 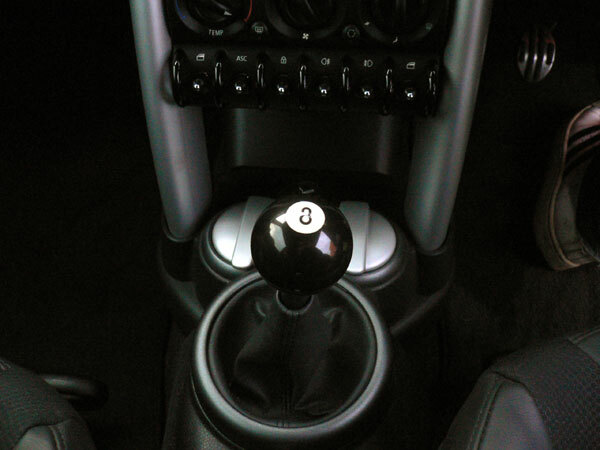 The car had a manual transmission and had an 8 ball in lieu of the traditional stick shift. He was patient enough to let me have my first try out at driving standard. I wasn't really good at it, but I liked the feeling. 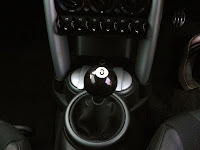 It gave me an even better sensation of control and, for a person who loves to drive, it involved me even more. The clutch survived and our friendship did too, but we stopped dating. In 2000, my deareast first car, Chouchoune, was slowly falling apart from rust damage. I had to travel for work and ended up having approximately 10 days to buy a new car. My options were, for the same amount, a 1996 Nissan Maxima, standard, or a Ford Contour 1998, automatic. Because I hadn't practiced much and would spend a lot of time on the road, I hesitated to get the Maxima with manual transmission and decided to take the Ford Contour instead. Now I loved my Contour while she was good but HATED her when I changed the timing belt for the second time in 6 months. What a mistake! My best friend bought her new car, standard of course, and I had the chance to drive it on a few occasions and I was hooked. I figured the next MissIPP Mobile would just have to be standard. When the time came, I went to the car dealer and decided on the model, colour and everything. I went to pick up my new vehicle on a Friday night and I was handed the keys shortly before closing time. I was hanging around the dealership doors, waiting, when the saleswoman came to see me. "Is there something we can help you with? ", she asked. "Oh no, thank you. I'm just waiting for my sister and her boyfriend to come meet me. He's going to take the car across the street in the parking lot to teach me how to drive" is what I answered. I would have paid $20 to get a picture of the look on her face. "You don't know how to drive standard? ", she blurted out. "Well, yes, I know how to drive standard! I just need to practice". I'm convinced she was genuinely preoccupied about the car she had just leased me. My sister and her boyfriend did arrive. He drove the car across the street for me and we switched seats. He would make me stop and go; the most important "how to" when learning to drive standard. The they followed me home to make sure not too many cars would hit the horn behind me if I stalled at a stop sign or red light. I discovered how quickly the right arm and its middle finger can be raised to signal the driver in the car behind you that you'll only be one second, hence the one and only finger. Posted by Miss IPP at 8:00 a.m. Anonymous June 3, 2010 at 2:41 p.m.
For your info, i still have the 8 ball, if ever you were interested. My better half asked me to drive her new "standard" car off the dealer lot 10 years ago, she too was a new commer to the life, but i had to refuse, i didnt want her to regret the feel of her first "new" car being driven off the lot. Its kind of riding a bike, you may get rusty but you will be able to get out of a bind if you had to drive. Hence the reason why i wanted you to handle the stick!!! Jenn June 3, 2010 at 5:56 p.m. Anonymous June 3, 2010 at 6:55 p.m.
Shayla June 7, 2010 at 7:05 p.m. Anonymous June 19, 2010 at 6:29 p.m.
Macbella2 June 27, 2010 at 9:24 p.m.